When you purchase any of our New Attachments or Certified-Pre Owned equipment with our warranty you may return any item up to seven (7) days from the date of delivery. You will receive a refund less freight to and from the delivered location unless otherwise stated (Even if Free Shipping was offered at the time of purchase along with any other promotion or special incentive, it will be assessed and deducted from the credit). Any damage/repairs that may be required to return an item sold to its original like condition at the time of sale will also be withheld. A standard daily rental rate will also be deducted for all equipment returned within the allotted time period. We offer our guarantee to give our customers the comfort and confidence in our products and to separate ourselves from our competitors who only talk a good game. We know that the value of our guarantee will be the difference between Spartan Equipment and those who only try to mimic what we do. So demand the best, don’t buy another attachment without a money back guarantee. Our guarantee does not apply to any equipment sold “As Is” without our warranty. Any equipment sold as a final sale item will not be able to be returned. Other conditions may apply, depending on the type of item or goods sold. 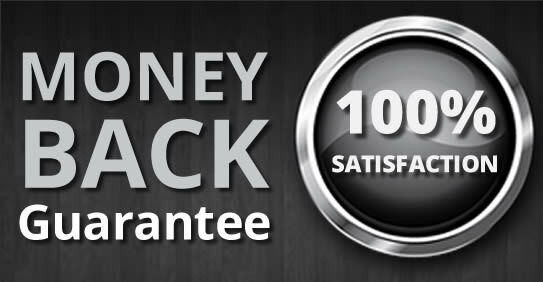 This guarantee does not apply to repair of parts or service work performed by Spartan Equipment or any of its employees or agents. Further, any piece of equipment that has been altered or modified in any way by purchaser, his employee's or associates, will effectively null and void this guarantee.